Three-year-old Nur has been vomiting for three days, with severe diarrhoea, and now his father watches him, wondering if he waited too long to bring him in. Hassan Islail walked all night to bring his young son to a cholera treatment centre at Baidoa, in Somalia. He had carried him from his village, 15 kilometres away. The clinic is packed with emaciated adults and children with sunken eyes, all groaning in pain. 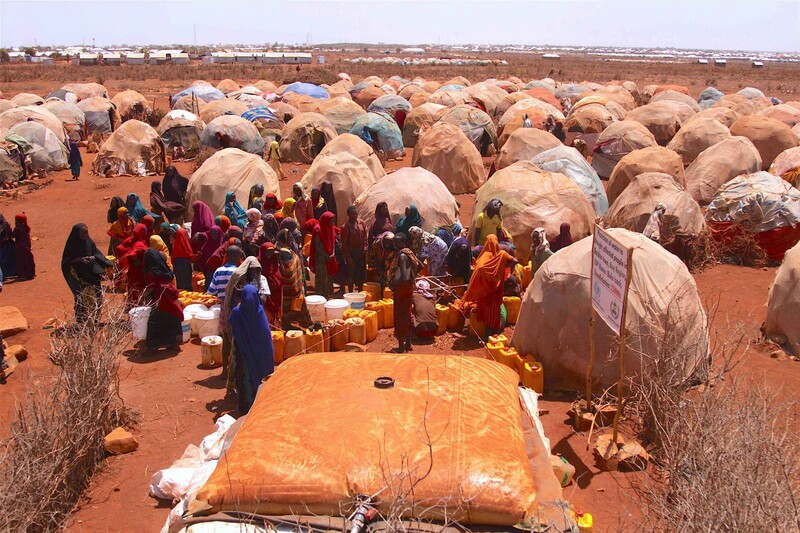 Water distribution at one of the 27 temporary camps surrounding Baidoa. Throughout Somalia, more than six million people are currently in need, and if the usual rains don’t arrive soon, famine is almost a certainty. 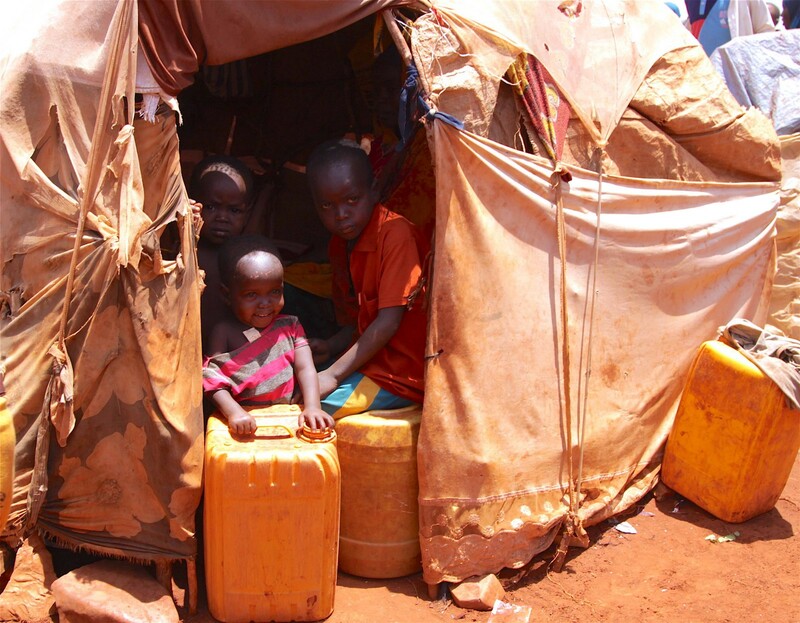 Somalia’s prolonged drought has forced communities to flee their homes and settle in makeshift camps with no proper sanitation or access to safe water. The widespread use of contaminated water has led to the spread of disease. There have been more than 13,000 cases so far this year — five times as many as during the same period last year. In response to the growing crisis, communities are being provided with cholera treatment kits, but to halt the spread of the epidemic, aid agencies are having to come up with additional measures. “We’re providing safe water to people in cholera outbreak areas,” says Ann Thomas, UNICEF’s Chief of Water Sanitation and Hygiene (WASH) in Somalia. Vulnerable communities are being identified, and provided with everything from chlorine treatment and water purification tablets, to simple soap and buckets. 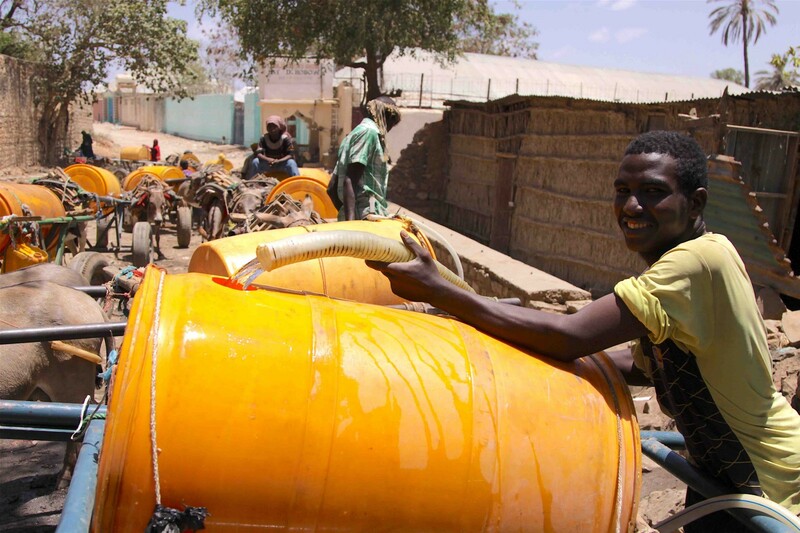 In other towns, UNICEF is distributing water vouchers to people living in the newly created camps for the displaced, which are scattered around Baidoa. 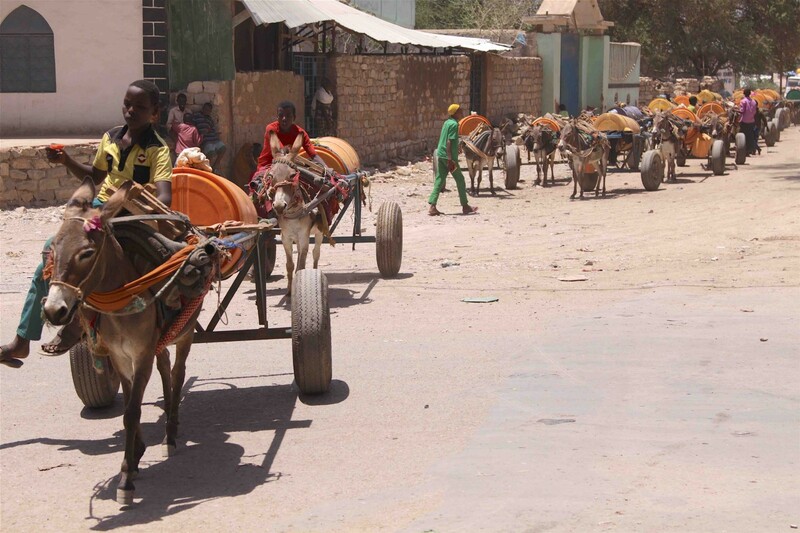 Where water is being distributed, residents and water vendors alike arrive, pulling donkey drawn carts behind them, waiting to receive what water they can. Water vendors arrive by donkey to collect water for distribution. While new boreholes are being drilled, cholera continues to remain a challenge. To try and halt the spread of the disease, a major vaccination campaign has been launched to protect 450,000 people from cholera in three of the worst hit areas. Disease, conflict, drought, and hunger. This terrible combination is affecting millions — more than five million people across Somalia are in need, and almost 400,000 children are acutely malnourished and in urgent need of life-saving treatment. Sitting by Nur’s bed, Hassan is watching his young son for any sign of improvement, when the doctors enter. It’s good news. They say his condition is stable, but that he is also lucky to be here. Their long walk, and Hassan’s long wait, has had a happy ending. But throughout Somalia many more children, just like Nur, are still at risk. And the need to help them just became a little more urgent.